This is a quick, simple, and light “salad” that’s perfect as a side or for lunch. 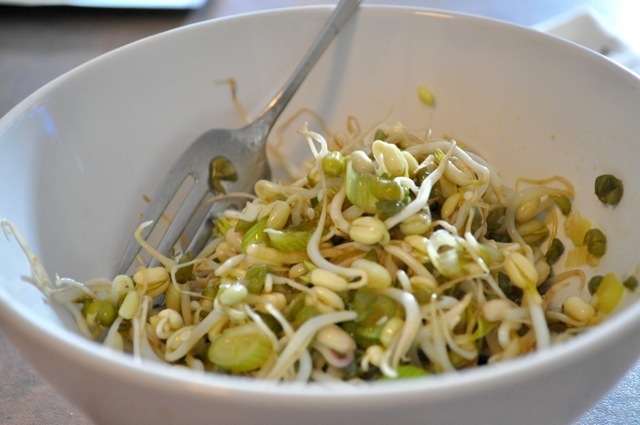 Yes, sprouts are the stereotypical vegan hippy food, but give this recipe a shot. Don’t knock it ’till you’ve tried it. Like us, you’ll wind up learning to use and love sprouts. Tasty (if done right), filling, and easy.